This is a wonderful apartment located in the heart of Edinburgh in a traditional tenement building. It's a main door flat with a spacious bedroom and living area with the kitchen which has everything that you need off the main room. It also has a recently upgraded shower room with a changing room attached and separate WC. The location is around a 10-15 minute walk to Princes Street and the wonderful Royal Botanic gardens is a 10 minute walk in the opposite direction. The bus stop is a 2 minute walk from the property should you prefer public transport. There are walks nearby such as the Water of Leith and if you prefer shopping, there are some lovely boutique shops in Dean Village, Stockbridge which also has a farmers market on a Sunday. The flat can sleep up to 4 adults with the option to add a travel cot if you like. There is a king size bed along with a sofa bed in the main room. The kitchen has a cooker, microwave, washing machine, fridge along with a kettle and toaster. On street parking is available but it has some restrictions so please let us know if you'd like to order a parking permit. The bus routes are so good though, you may not want to bother bringing a car! If you prefer to stay in the flat, there are 2 supermarkets nearby to provide anything that you may need and if you don't want to cook, then there are many restaurants and pubs a couple of minutes away. The atmosphere is great and Edinburgh has some wonderful nightlife. At the top of Broughton Street, there are some very friendly pubs and the wonderful Playhouse Theatre. 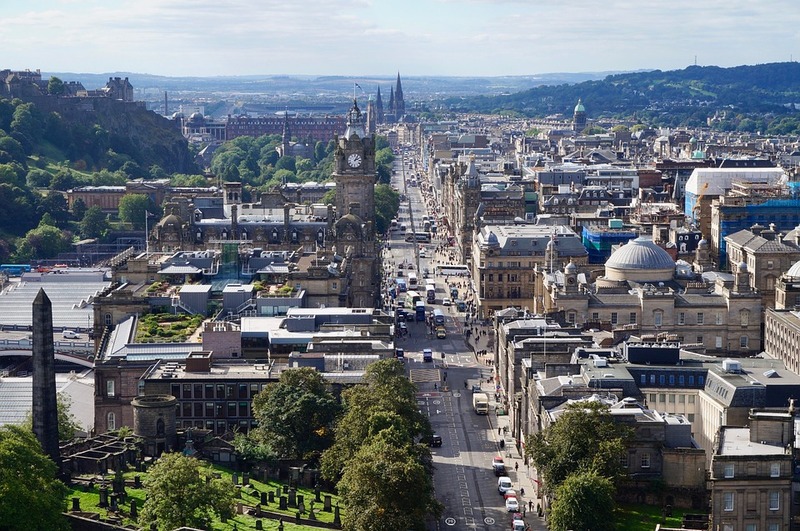 Walk further up and go to Edinburgh castle, the parliament or the Camera Obscura. Edinburgh has a long and interesting history, so if you prefer something a bit different take a walk to the Royal Mile, go on a ghost tour and go the amazing National Museum - you could spend all day there!